Palestinian sources on Thursday unveiled an Israeli scheme to confiscate thousands of dunums of land north of Tulkarem city for settlement purposes. 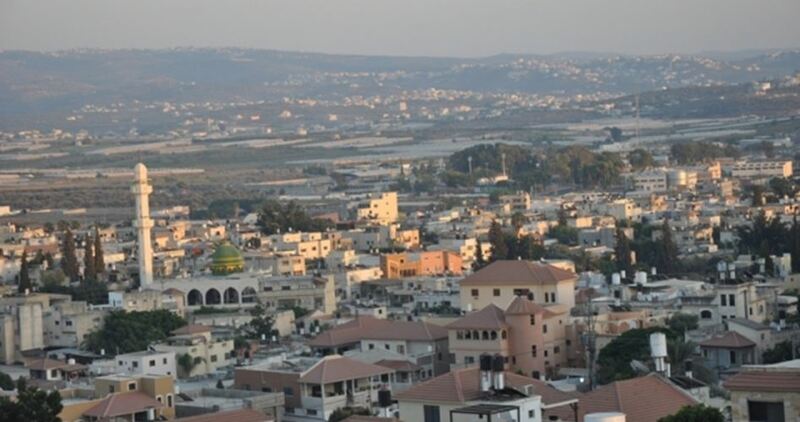 Mayor of Qaffin town Jihad Ta'ma told Quds Press that the Israeli occupation authorities have recently confiscated 14 dunums of lands located between Qaffin, north of Tulkarem, and Ya'bad, southwest of Jenin, claiming that they are "state lands" although they are privately-owned by Palestinian citizens. 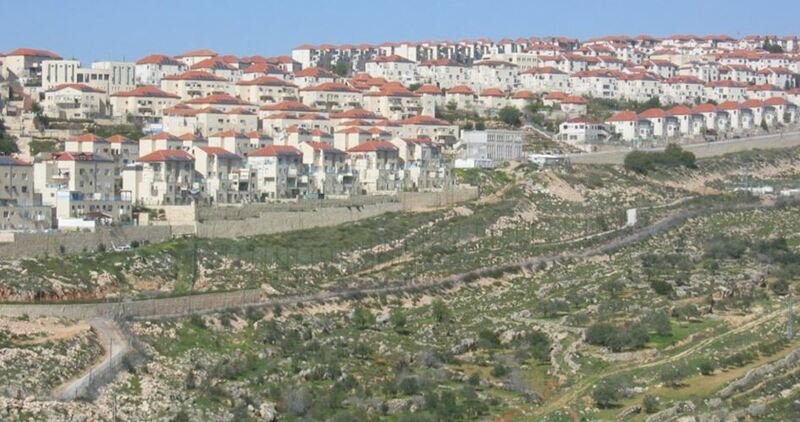 Ta'ma explained that this confiscation campaign is aimed at expanding and annexing Harish settlement built near the Green Line separating the 1948 occupied Palestinian territories and the West Bank. He pointed out that Israel, since it occupied Qaffin in 1967, has seized thousands of dunums of the village's lands in favor of settlement projects with the aim of imposing new facts on the ground and consolidating settlement in the West Bank. Israel's settlement construction is a systematic activity that is not limited to residential buildings but also includes schools, institutes, universities, health centers, industrial areas and even road networks connecting settlements together. The UN Security Council on 23rd December 2016 adopted a draft resolution to halt the illegal settlement construction in the occupied Palestinian territories since it undermines the two-state solution and the peace process. Hebrew media sources on Tuesday said that Israel's Prime Minister Benjamin Netanyahu is preparing to introduce a bill to impose Israeli sovereignty on Ma'ale Adumim settlement, east of Jerusalem, as part of the project "E1". The Hebrew TV channel 20 said that Netanyahu expects that the US president Donald Trump will not try to prevent this move. The TV channel added that Netanyahu's move comes to appease the angry right-wing who are frustrated with the slow pace of settlement construction in the West Bank and Jerusalem. It pointed out that the same bill was proposed several times in the past but it was repeatedly rejected due to US pressures. The Hebrew channel revealed that talks has been conducted between Tel Aviv and Washington in recent weeks on this matter. Israelis believe that if Trump realizes that Palestinians do not want to be engaged in negotiations mediated by the US, he may not oppose the annexation of Ma'ale Adumim. "E1" area acquired its name from the abbreviate for the word "East". It is located adjacent to East Jerusalem and covers an area of 12 square kilometers. There are Israeli plans for construction in this area to create a physical link between Ma'ale Adumim settlement and Jerusalem. 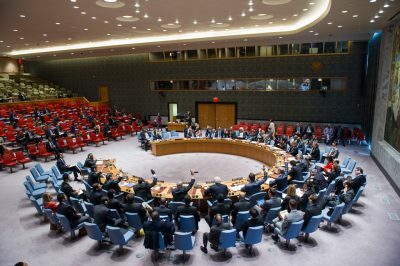 On 23rd December 2016 the UN Security Council adopted a draft resolution that condemns the Israeli settlement construction and calls for its complete halt saying that it undermines the two-state solution and the peace process. PA President Mahmoud Abbas, on Tuesday, proposed a peace plan at the United Nations Security Council that tackles core issues, which have foiled peace efforts over the past few decades. Abbas said, in his highly anticipated speech in front of the UN Security Council, that the plan calls for holding an international peace conference, in mid 2018, that is based on international resolutions and with a wide international participation that includes both the Palestinian and Israeli sides, as well as the active regional and international parties, similar to the Paris peace conference or the Moscow conference called for, based on resolution 1850. He said, according to WAFA, that the outcomes of the conference must include the acceptance of the State of Palestine as a full member state at the UN and seeking the security council to achieve that, the mutual recognition of statehood between Palestine and Israel on the borders of 1967, the formation of a multilateral international mechanism that aids the two sides in negotiations to solve all permanent status issues according to the Oslo Accords, and the implementation of what is agreed upon within a specified period of time, while providing guarantees for implementation. He added that the plan includes refraining from all unilateral moves during negotiations, especially those which affect the results of the final solution, most importantly settlement activities in the occupied Palestinian territories in 1967, including East Jerusalem and freezing of the decision to recognize Jerusalem as the capital of Israel and stopping the embassy transfer to Jerusalem. Abbas also said that the peace plan stipulates the implementation of the Arab Peace initiative as adopted, and signing a regional agreement when reaching a peace deal between the Palestinians and Israelis. He affirmed the foundations of any upcoming negotiations, which include adhering to the international law and relevant international resolutions, including Security Council resolution 242, 338 and 2334, the Arab peace initiative and the signed agreements. Abbas affirmed the two-state solution as a foundation for peace negotiations, which means a State of Palestine with Jerusalem as its capital that lives side by side with Israel in peace and security on the borders of June 4, 1967. He rejected interim solutions and a state with temporary borders and approved a minor land swap, which is equal in value and quantity, with the approval of the two sides. He stressed that the foundations include East Jerusalem as the capital of the State of Palestine, a city that will be open to the followers of the three monotheistic religions, a guarantee for the security of the two states without undermining the sovereignty of either through appointing a third international party, a just and agreed upon solution for the issue of Palestinian refugees on the basis of resolution 194, according to the Arab Peace initiative, and the continued international commitment to support UNRWA until the refugees issue is solved. Abbas further affirmed that he is ready to go above and beyond to safeguard the rights of the Palestinian people and, at the same time, not move an inch if asked to abdicate these rights. He stressed that a referendum will be held to vote on the agreements to be reached with Israel and expressed hope that the Security Council will be responsive to his peace vision, affirming his readiness to begin negotiations, to achieve the freedom of the Palestinian people and achieve independence, peace and security in the region and the world. 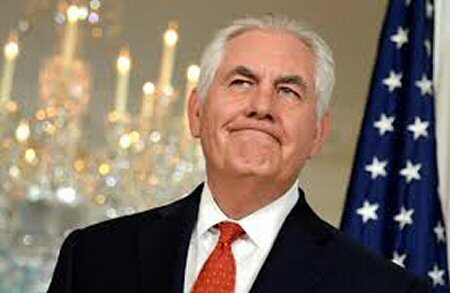 The United States threw the Arab and Muslim world into a rage, in December, when President Donald Trump recognized Jerusalem as the capital of Israel and initiated the move of the U.S. embassy from Tel Aviv. Palestinian President Mahmoud Abbas said he would not cooperate with the United States in its efforts as a mediator.